Music, history, and Southern hospitality are what make Nashville special. Located in the smoky mountain state of Tennessee, Nashville is a must-visit city for culture aficionados, history buffs, and musicians. 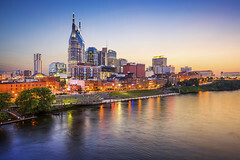 Combine these characteristics with a vibrant natural beauty, and Nashville becomes the ideal destination for a concert tour. Nashville has an international reputation as a center of culture. 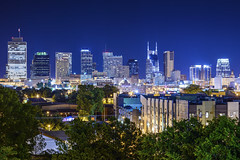 Each year it plays host to a number of musical and theatrical events, including the Nashville Film Festival, the Southern Festival of Books, the Nashville Shakespeare Festival, and even the Country Music Marathon. 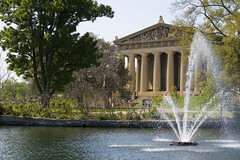 Cheekwood Botanical Garden and Museum of Art, the Frist Center for the Visual Arts, the Johnny Cash Museum, and even a full-scale replica of the Ancient Greek Parthenon, dating back to 1897, are all highlights in this city. Drive just east of downtown and one will find The Hermitage, the 19th-century home to the seventh president of the United States, Andrew Jackson – and what is now a museum focused on the lives of the enslaved African Americans that lived there. Walk down to ‘The District’ in the Music City and one will meet a hundred different clubs and bars pouring out honky-tonk. 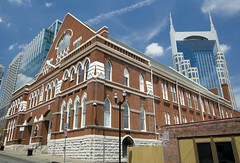 When daytime rolls around, take a trip to the Country Music Hall of Fame and Museum and the majestic ‘Carnegie Hall of the South’: The famous Ryman Auditorium. 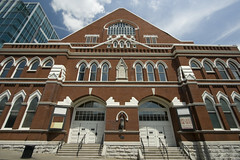 If the Ryman by day gets ones creative juices flowing, then an evening at the Grand Ole Opry is sure to impress. With a weekly country music concert held at the famous auditorium, the Grand Ole Opry has been running since 1925; it’s a unique part of Nashville, as well as America’s, musical history. I cannot adequately describe how much I appreciate MCI. Nothing but extraordinary. I let the whole group know to share the word about MCI! The tour was fantastic overall.